Some of you might remember Activity Village's online Advent Calendar from last year, in which we shared, each day, another Christmas "character" to print, colour, cut out and display. This year I've taken the pictures out of their Advent Calendar format and rejigged them a little so that we now have 16 different printable pages. 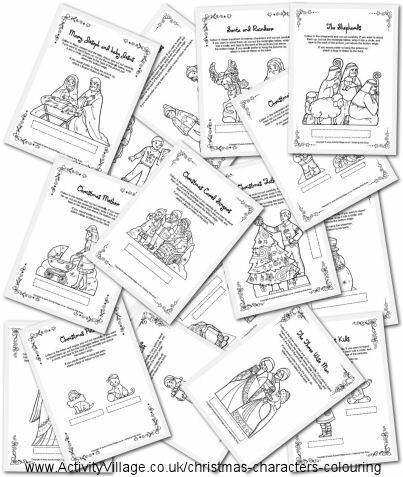 They are great for enjoying with the family, a classroom or a group of kids, you'll find a Nativity scene to colour in as well as a family group, some familiar Christmas favourites, and some cute animals, too.